Disney will soon give children a chance to become their favorite Disney Princesses through a high-tech process that will create a custom figurine. 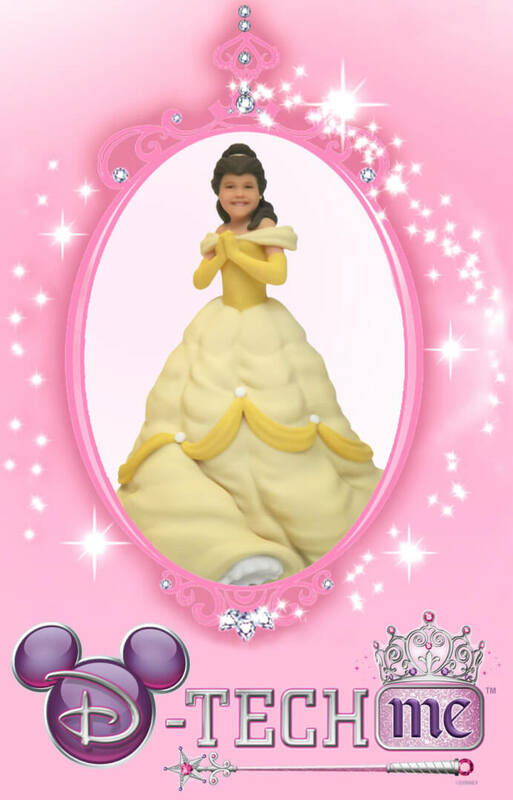 Much like the popular Carbon Freeze Me experience recently offered during Star Wars Weekends, Walt Disney World’s newest D-Tech Me experience will capture the likeness of participating kids and feature it on 3-D printed 7-inch Disney Princess collectibles. Announced today on the Disney Parks Blog, the Disney Princess D-Tech Me experience will launch on August 26 at the World of Disney in Downtown Disney Marketplace for a limited time. But unlike the Carbon Freeze Me experience, only guests ages 3-12 will be allowed to participate. The process will take roughly 10 minutes, during which an array of cameras will capture children’s faces from a variety of angles, ultimately producing a 3-D scan of their expression and features. Children can then choose to become one of seven Disney Princesses: Ariel, Aurora, Belle, Cinderella, Rapunzel, Snow White or Tiana. And unlike the grey overtones of the Carbon Freeze Me figures, the new Disney Princess custom figurines will be in full color, with hair, skin and eye color matching the child’s own. The cost is $99.95 for each figurine, plus $15.95 for shipping within the United States. Shipping to Canada or other countries starts at $75. Additional 7-inch figures are $74.95 and 3-inch versions are $39.95. It’s worth noting that the Carbon Freeze Me figurines are quite fragile and definitely not toys, so children interested in becoming their favorite Disney Princess shouldn’t expect to “play” with their custom figurine, but rather just have it on display. Disney is estimating an arrival time for the custom figure at 5-6 weeks, though many anxious fans have reported their Carbon Freeze Me figures have taken more than 10 weeks to arrive, despite being quoted 4-6 weeks at the time. Also included for guests to purchase the package will be a Princess silver link necklace and gem charm. Reservations can be made by calling 407-WDW-TECH (407-939-8324). Weird. And why limit this to kids 3-12? Seems like they will miss a lot of opportunities for additional profit, very unlike Disney. the level of creepiness knows no bounds. This conversation will happen. This is creepier than that Poltergeist Clown. Is this limited to little girls? Not that I imagine many boys would want it, but I just wonder if Disney would restrict anything to one gender. This is age discrimination and it saddens me. Disney, why would you try to ruin my dreams? I saw this in action a year ago at WDW while they were still testing in curtained off corner of the Downtown Disney store. The dolls are not creepy, it is amazing how detailed they are of the little. The creepy part was the questionire after words. It something to the effect like (paraphrasing from year old memory) If age appropriate body styles, were offered would you consider purchasing one? My guess is that was considering selling different body styles to different age groups. These are actually not that creepy looking in real life. My daughter had this done while they were testing it in 2010. And it’s beautiful! She loves it! Yes, they are creepy. The reason we love the princesses so much is because they are way, way prettier than us. The same with Barbie. I probably would’ve loved the idea of it at age 8, but I can honestly say now I would hate to have a keepsake of my 8 year old face memorialized on a doll like that. Sorry to all you moms who think their daughter are the most gorgeous girls in the world, but the effect is NOT GOOD. 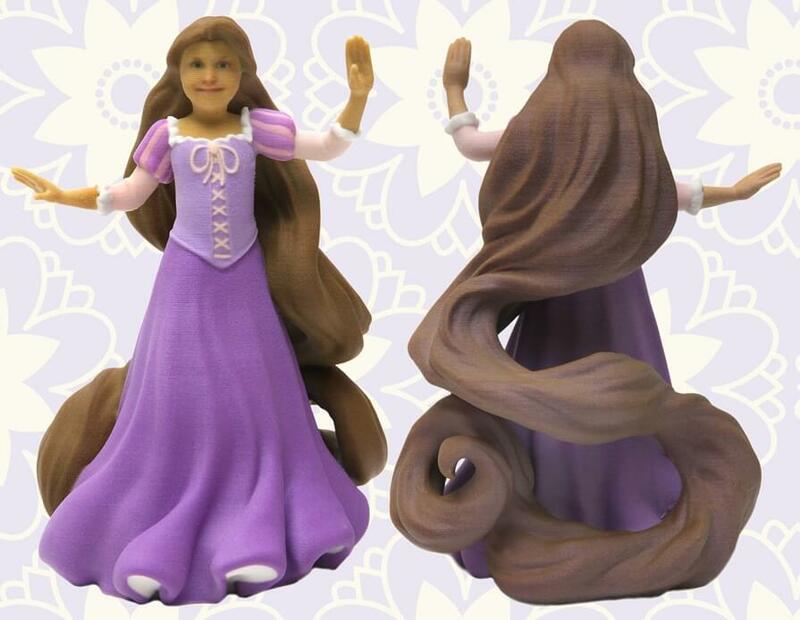 Crazy kid faces on princess bodies is capital “C” Creepy. Buy them a costume and take a picture.